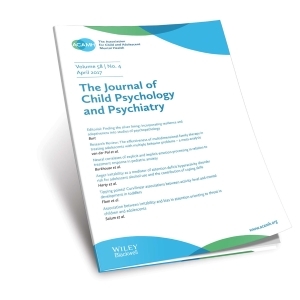 Background: Influential studies have cast doubt on the validity of retrospective reports by adults of their own adverse experiences in childhood. Accordingly, many researchers view retrospective reports with scepticism. Method: A computer‐based search, supplemented by hand searches, was used to identify studies reported between 1980 and 2001 in which there was a quantified assessment of the validity of retrospective recall of sexual abuse, physical abuse, physical/emotional neglect or family discord, using samples of at least 40. Validity was assessed by means of comparisons with contemporaneous, prospectively obtained, court or clinic or research records; by agreement between retrospective reports of two siblings; and by the examination of possible bias with respect to differences between retrospective and prospective reports in their correlates and consequences. Medium‐ to long‐term reliability of retrospective recall was determined from studies in which the test–retest period extended over at least 6 months. Results: Retrospective reports in adulthood of major adverse experiences in childhood, even when these are of a kind that allow reasonable operationalisation, involve a substantial rate of false negatives, and substantial measurement error. On the other hand, although less easily quantified, false positive reports are probably rare. Several studies have shown some bias in retrospective reports. However, such bias is not sufficiently great to invalidate retrospective case‐control studies of major adversities of an easily defined kind. Nevertheless, the findings suggest that little weight can be placed on the retrospective reports of details of early experiences or on reports of experiences that rely heavily on judgement or interpretation. Conclusion: Retrospective studies have a worthwhile place in research, but further research is needed to examine possible biases in reporting.